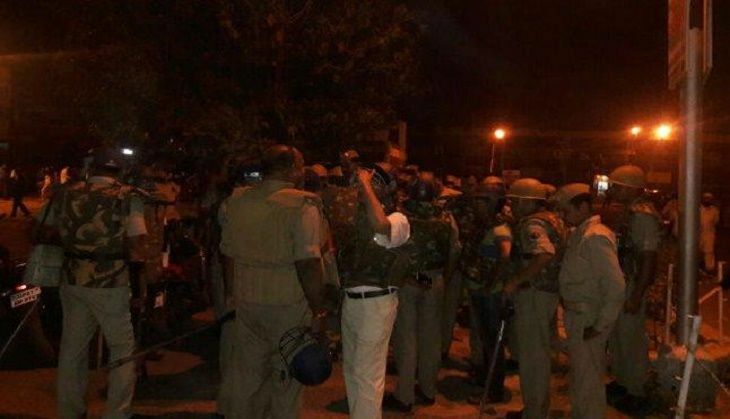 One student was killed in an altercation between two groups of students of the Aligarh Muslim University (AMU) on late Saturday night, which left the Proctor office and two vehicles torched. According to ANI, the cops in a bid to stop the violence, fired in the air. However, a student was killed in the firing after a stray bullet hit him. Despite attempts by the police, the violence did not stop till 2 am. Two students, Mehtab and Mohammad Waqif, were also injured in the firing. According to sources, students from Sambhal, Azamgarh, and Ghazipur were present during the clashes. The clash was triggered off so quickly that the university administration barely had time understand the reason behind it. The issue started at 10 pm on Saturday when few students allegedly entered the room of Mohseen - an MA student from Moradabad - and assaulted him. After assaulting Mohseen, they reportedly damaged his hostel room. Mohseen then went to the Proctor to file a complaint and the same group of students who assaulted him arrived here too, and fired bullets and ran away. After this incident, the Proctor called the police from Civil Lines and another station nearby to investigate the matter. Though the police and varsity administration were present at the venue, the agitating students set the Proctor's office on fire. With the news of the incident spreading like wild fire, supporters of the injured students arrived at the spot. Bullets were fired from both the sides. In the meantime, the Proctor and the police personnel tried to shield themselves from the violence. In the firing, a former student of Masters in Physical Education, Mehtab, and two others got injured and were taken to the medical college. Both the agitated groups reached the medical college too and continued to fire bullets, after which Rapid Action Force was called. The condition of the injured students is said to be critical and the matter is being closely monitored by the state administration. Police personnel has been deployed inside and outside the varsity campus. Students have been warned of dire consequences if they continued to clash.